Would we like a soft heart? The world was stunned when the first heart transplant took place in the late 1960s. How could the heart of one human being be placed in another? Yet a far greater miracle occurs whenever a spiritual heart that has been hardened by sin and resentment is replaced by one filled with love and forgiveness. According to Scripture, God is in the business of performing such heart transplants. Ezekiel says God will remove our heart of stone and replace it with a heart of flesh. How can God perform this miracle? First, we must ask Him to do a thorough inner heart exam. We must confess every area of sin He exposes in our heart. Then we must invite His Holy Spirit to fill our heart with the love of Jesus. The result will be a new heart with all the vital signs of a disciple of Jesus Christ. 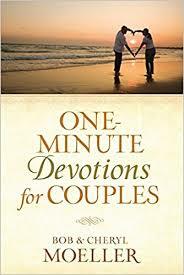 Bob Moeller and Cheryl Moeller, One-Minute Devotions for Couples (Eugene, OR: Harvest House, 2013). NextHow can we keep a soft heart?